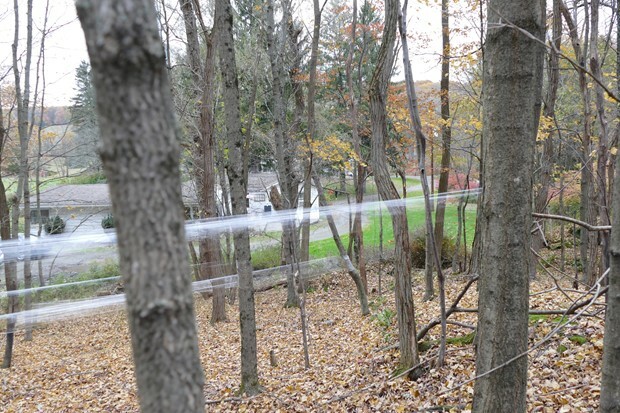 Wind and light installations at chaNorth residency 2018, NY, USA. Thank you ChaShaMa. 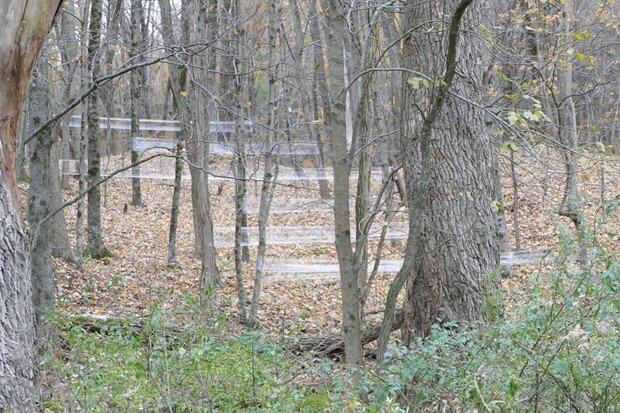 Cling film (saran wrap) is stretched across a space between tree trunks creating a series of barely visible lines, like condensation from your breath, evaporating in a moment of movement. In the wind the work appears as fleeting flashes of light, disappearing, then coming into being again, an energy between the earth and unseen, the other worldly. 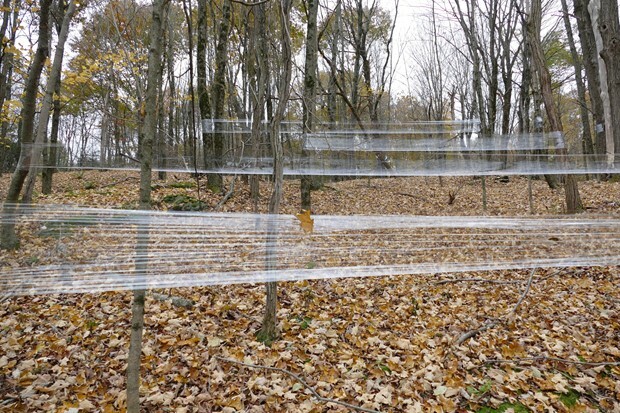 The work was inspired by the fresh produce and communal cooking and giving, cling filming (saran wrapping) the excess, all linked to freshness: the trees as the lungs of the earth, chaNorth as a breath of fresh air for its artists, making harmonies in both the work and the experience of the residency.